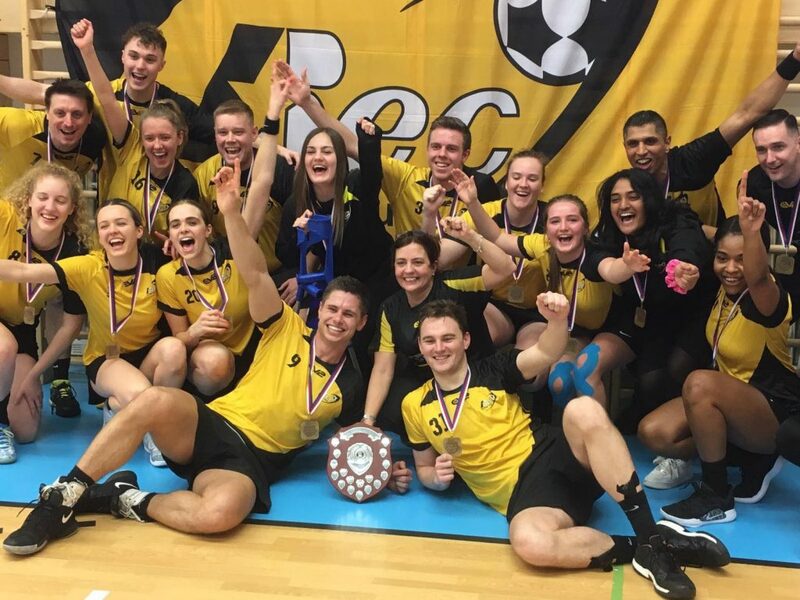 BEC KORFBALL CLUB (Tooting, London) have won the IKF Europa Shield for a third time defeating Ceské Budejovice 16-9 in the final earlier today. The club previously won the Shield in 2015 and 2017 and also won silver in 2016 and 2018. Ceské Budejovice and Bec had met earlier in the pool stages of the tournament, a match that Bec won 19-16. Head Coach John Denton started with Blake Palfreyman, Davesh Patel, Jo-anne Wilson and Kenzie Baldock in attack and Joe Bedford, Kieron Hicks, Caitlin Fitzgerald and Heather Ikeuemsi in defence. Bec made the perfect start with Palfreyman, Patel, Bedford and Hicks scoring the first four goals of the match within the first 3 minutes. Ceské Budejovice managed to reduce the deficit in the first half to 5-4, before Bec hit back wiith a further three goals from Palfreyman, Fitzgerald and Bedford. At half-time Bec were ahead 8-4. After the restart Bec scored another three unanswered goals which effectively put the game out of reach for Ceské Budejovice. Joe Bedford top scored for Bec during the final with four goals. Bedford was also the tournament’s top goal scorer with 21 goals, closely followed by Palfreyman with 18. Heather Ikeuemsi was Bec’s top female goal scorer with 8.